Learn how scenic byways benefit local communities, what roads qualify, and opportunities to highlight Antioch Road and Route 55 between Haymarket and the County border. 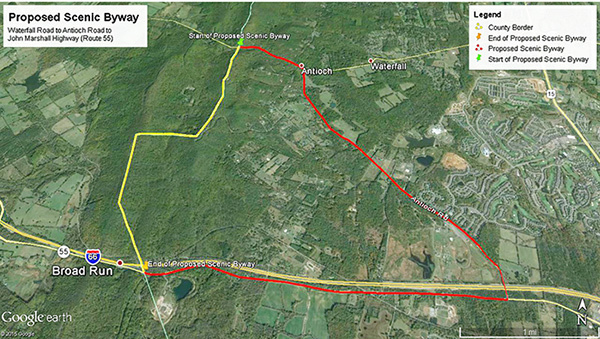 Va. Scenic Byways designation in Antioch Road, VA 55's future? 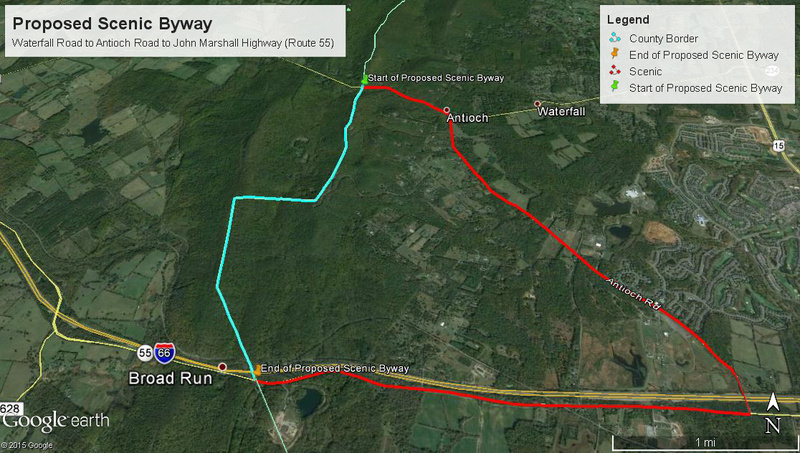 VDOT offers a sample of scenic and historic roads online, with links for maps. On December 7, the Virginia Commonwealth Transportation Board unanimously approved all Prince William roads proposed for Virginia Scenic Byway status, a first for our County. Scroll down for maps. 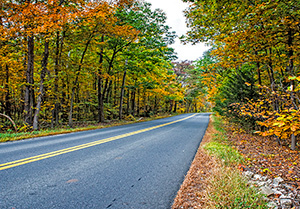 Virginia's Scenic Byway program recognizes that scenic roads are key community assets. Scenic road corridors with historic, natural, recreational or other intrinsic qualities are eligible for designation as a Scenic Byway. Virginia has more than 2,500 miles of Scenic Byways, including many miles in adjacent Fauquier County as well as Loudoun and Fairfax Counties. Prince William now boasts 39.4 miles of Scenic Byways, which highlight the environmental and cultural significance of the County's Rural Crescent. 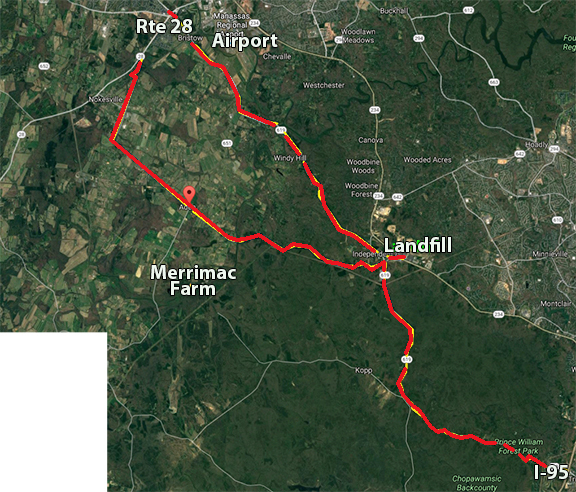 The proposed Prince William County roads, listed below, have 11 nationally recognized historic sites and two state listed historic sites, mountain vistas, and minimally visible development. John Marshall Highway and Waterfall Road connect to other Virginia Byways and showcase the beauty of our countryside. Waterfall Road – Fauquier County line east to the intersection of Antioch Rd. The Virginia Scenic Byway designation has no affect on land usage, does not limit road improvements, and roads are still eligible for federal scenic byway funds. Virginia Scenic Byways are a part of the Virginia Tourism promotional strategy to stimulate local economies. They are included in Virginia’s Map of Scenic Roads, Virginia Scenic Roads website, the Virginia Outdoors Plan and DCR Scenic Byways website. Protecting our scenic byways is an inexpensive and forward-looking way to highlight Prince William's unique assets, promote tourism, protect open space, and build a bright future for County residents. Prior to approval by the Commonwealth Transportation, the Prince William Board of County Supervisors supported four public meetings and voted unanimously to endorse these Virginia Scenic Byways on December 8, 2015 and January 19, 2016. The Prince William County Comprehensive Plan supports efforts to preserve the natural beauty of the county as well as historical communities and sites.